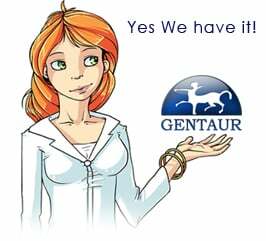 Gentaur antibody-antibodies.com The Marketplace for Antibodies : Streptococcal pyrogenic exotoxin B induces apoptosis and reduces phagocytic activity in U937 cells. Streptococcal pyrogenic exotoxin B induces apoptosis and reduces phagocytic activity in U937 cells. Treatment of U937 human monocyte-like cells with Streptococcus pyogenes led to an induction of apoptosis in these cells. A comparison between the wild-type strain and its isogenic protease-negative mutant indicated that the production of streptococcal pyrogenic exotoxin B (SPE B), a cysteine protease, caused a greater extent of apoptosis in U937 cells. Further study using purified SPE B showed that this protease alone could induce U937 cells to undergo apoptosis, which was characterized by morphologic changes, DNA fragmentation laddering on the gel, and an increase in the percentages of hypodiploid cells. The protease activity of SPE B was required for apoptosis to proceed, since treatment with cysteine protease inhibitor E64 or heat inactivation abrogated this death-inducing effect. The SPE B-induced apoptosis pathway was interleukin-1beta converting enzyme (ICE) family protease dependent. Further experiments showed that the phagocytic activity of U937 cells was reduced by SPE B. Treatment with E64 and heat inactivation both abrogated this phagocytosis-inhibitory effect. Taken together, the present data show that SPE B not only possesses the ability to induce apoptosis in monocytic cells but also helps bacteria to resist phagocytosis by host cells.